This week’s GTA Online update includes a Canis Freecrawler and the a remimagined Trading Places mode. Rockstar Games has been offering regular updates as part of the After Hours expansion, and this week is no exception. The difference is GTA Online will use this opportunity to introduce Trading Places (Remix), an updated version of the Year 2 Adversary Mode. Trading Places is Team Deathmatch with a twist: players are divided across pre-determined “Winner” and “Loser” teams. When a Loser kills a Winner, they switch places in each team roster. If you end the match on the winning team, you win the game. Trading Places Remix switches the formula up with Beast and Juggernaut teams. 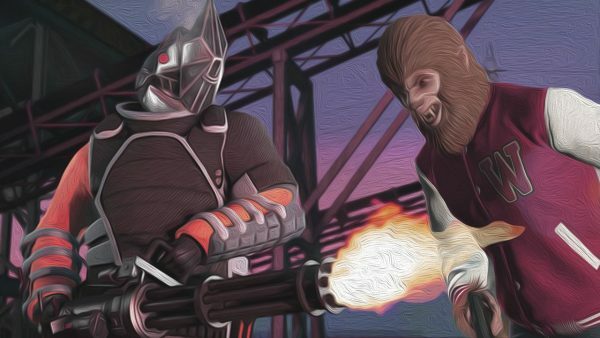 Beast characters wear an ape mask and are granted superhuman abilities like Super Jump and invisibility, but cannot earn points. Juggernauts earn points for time spent on the team, and defend themselves with thermal vision and heavy weapons. This week’s GTA Online update includes the Canis Freecrawler, described by Rockstar as a combined family SUV, off-roader, and personnel carrier. Nightclub owners can also earn double income for the week, and earn rare cosmetic items for logging in. Finally, players can take advantage of the following discounts until September 10, 2018.